The U.S.-China trade war threatens to make September a very slow month. With President Donald Trump slapping tariffs on items like car gaskets and ignition wiring sets in July, American buyers of the company’s LED car lights pushed hard over the summer to get their orders delivered early in case they got caught up in the next salvo. Now, with the U.S. poised to target another $200 billion of Chinese goods as soon as this week — including the car lights made by our factory (ZHENJIANG E.D. OPTO ELECTRICAL LIGHTING CO.,LTD). 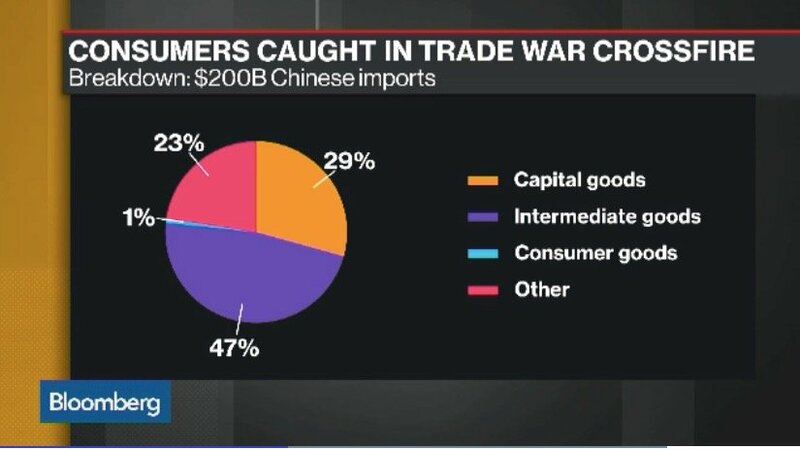 We were interviewed in trade war problems by world famous News media Bloomberg. Below the link of the detailed report. As relations between the U.S. and China deteriorate, small suppliers like the car light manufacturer and their U.S. customers are being caught in the middle. Auto-parts makers were already grappling with spikes in the cost of steel and aluminum, and now the trade war is threatening to upend an industry that’s become increasingly dependent on the U.S. China’s exports of auto parts to the U.S. increased almost 18 percent between 2012 and 2017 to hit $17.6 billion last year, according to data from the U.S. Commerce Department.—The Bloomberg said. As it shows Of the $149 billion the U.S. imported last year, China was the No. 2 supplier. The problem for U.S. buyers — companies like AutoZone Inc. and Advance Auto Parts Inc. — needing to source cheap, high-quality parts is that many of the Chinese suppliers may also be hard to replace. Buyers have often spent years developing supply chains of reliable manufacturers that can meet quality controls and shipment schedules. Still, some customers in the U.S. are trying to look for alternative suppliers. Like considering using suppliers in Taiwan instead. So we are concerning that as the trade war drags on between the world’s two biggest economies, the relationships that her company took years to build may be destroyed forever.